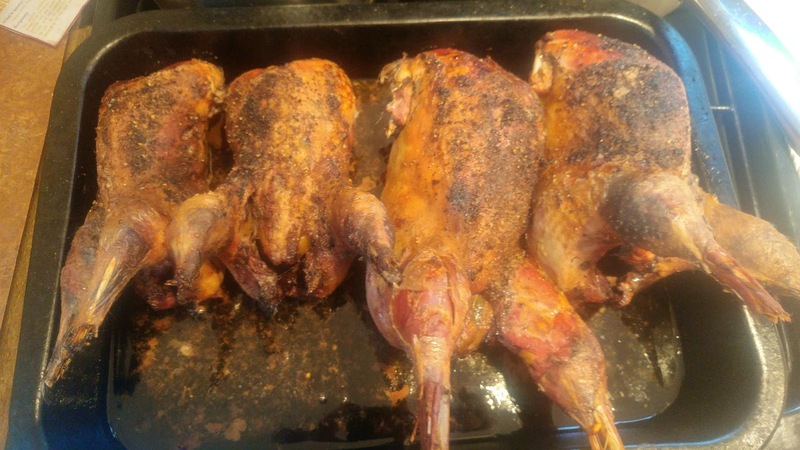 Cellophane wrapped, battery farmed chicken can't compete with these roast pheasants for Sunday dinner. 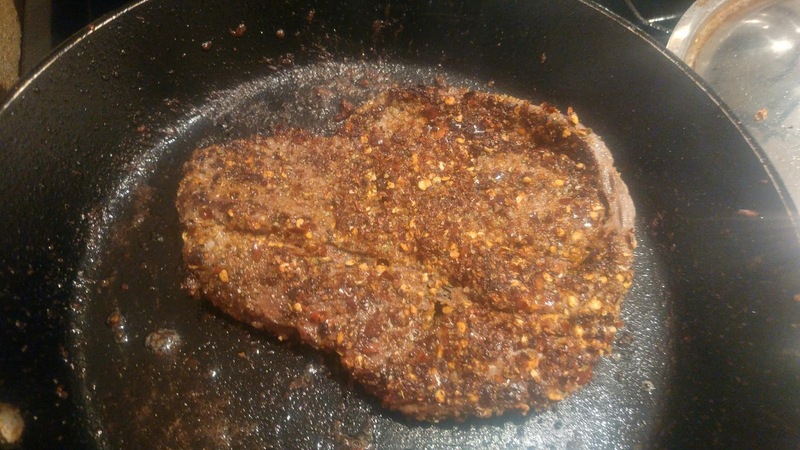 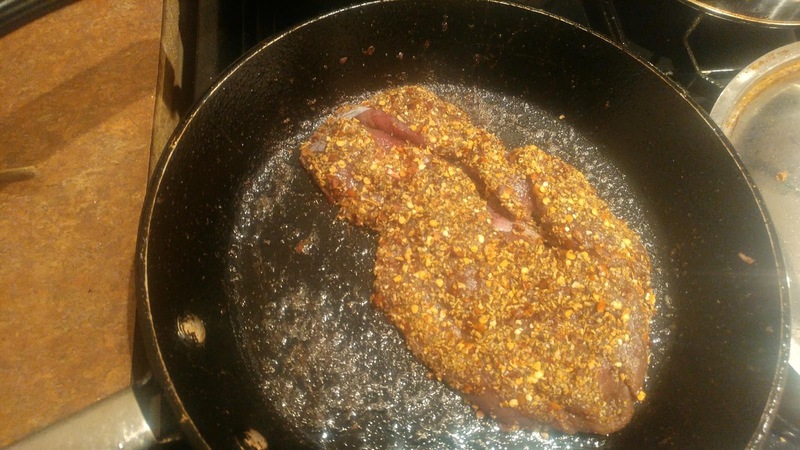 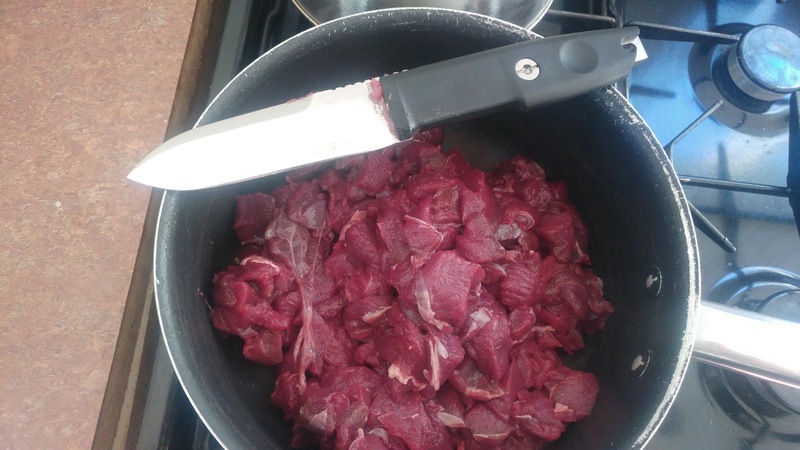 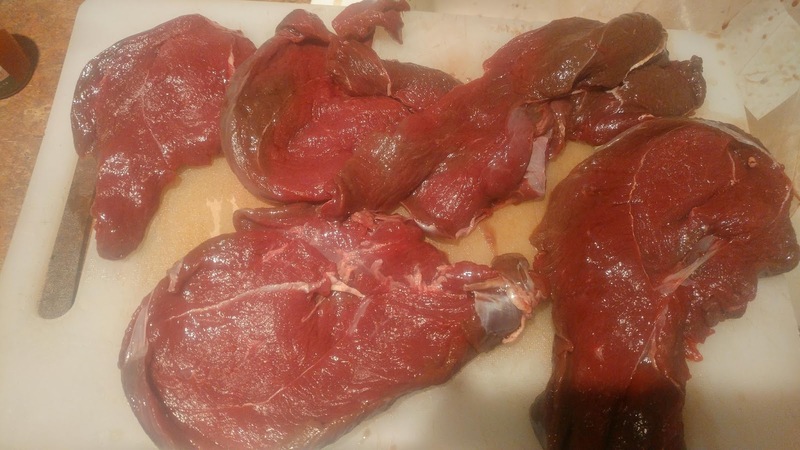 Finely diced venison ready for making chilli, the knife in the picture is an Extrema Ratio Scout and you can read a full review of it HERE that we posted earlier this month. 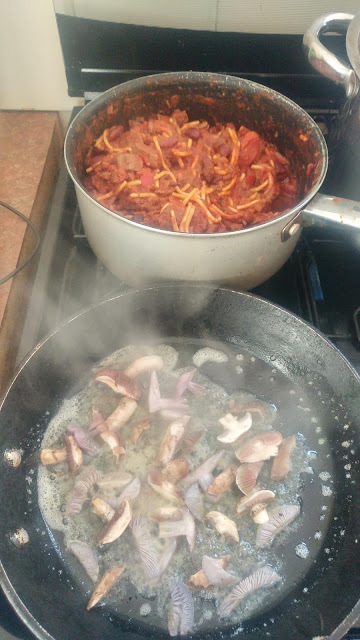 Ready to add the mushrooms to the chilli. 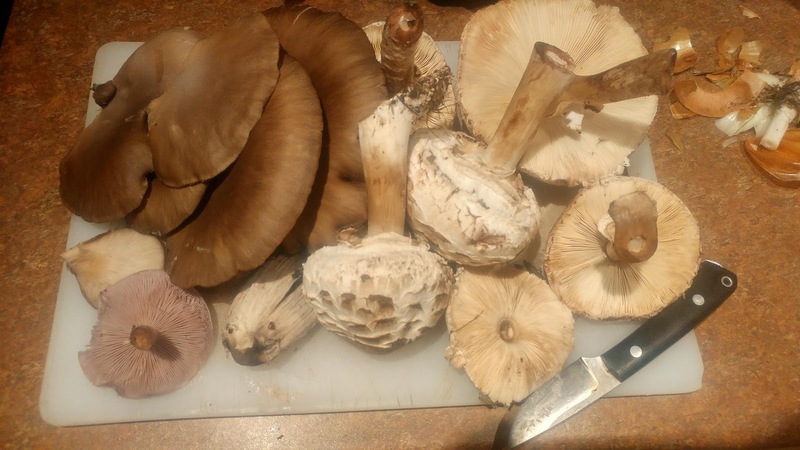 A great haul of shaggy parasols and oyster mushrooms with a couple of blewits and common ink caps. 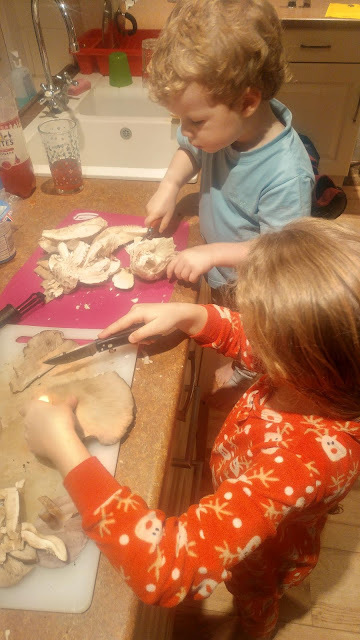 My children love helping chop up our foraged mushrooms. 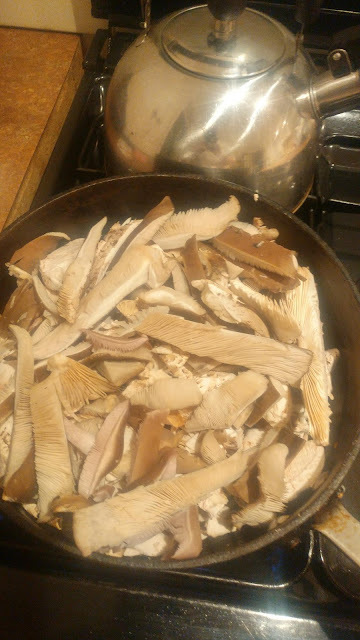 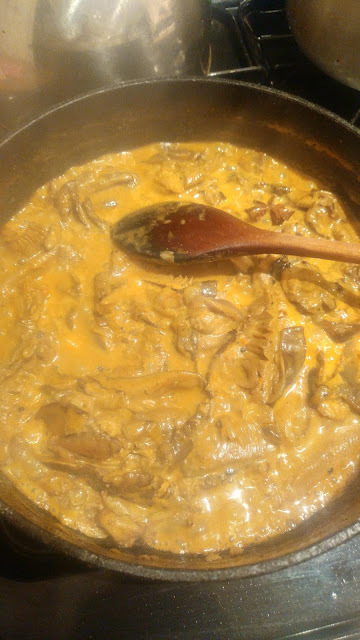 A delicious stroganoff is one of our favourite things to make with foraged fungi. 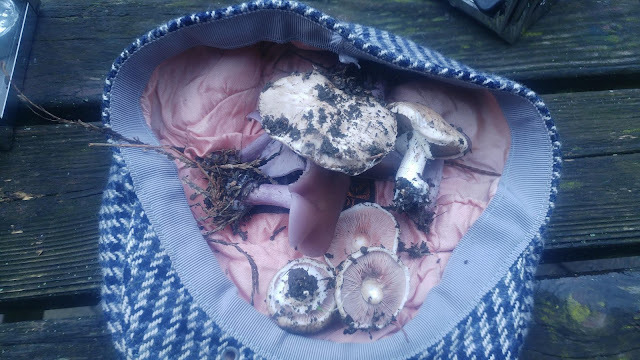 As well as game meat and fungi there are a few late fruits to harvest including a few remaining huckleberries. 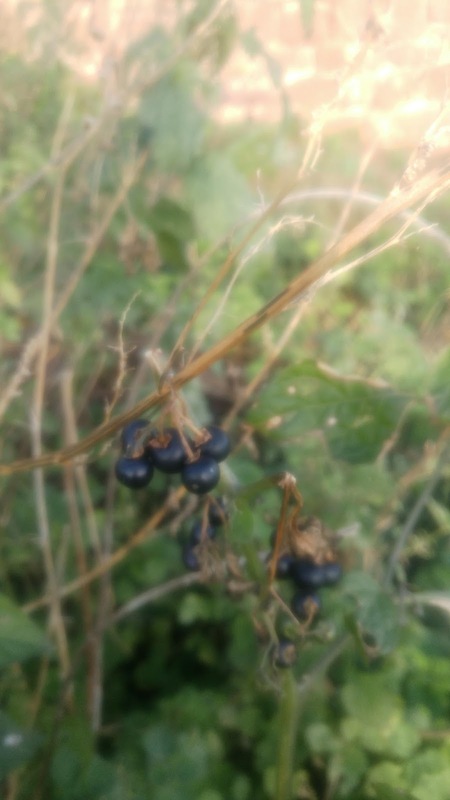 Black nightshade, sometimes referred to in The States as huckleberries are an edible member of the nightshade family and taste like very sweet tomatoes but are small and black. 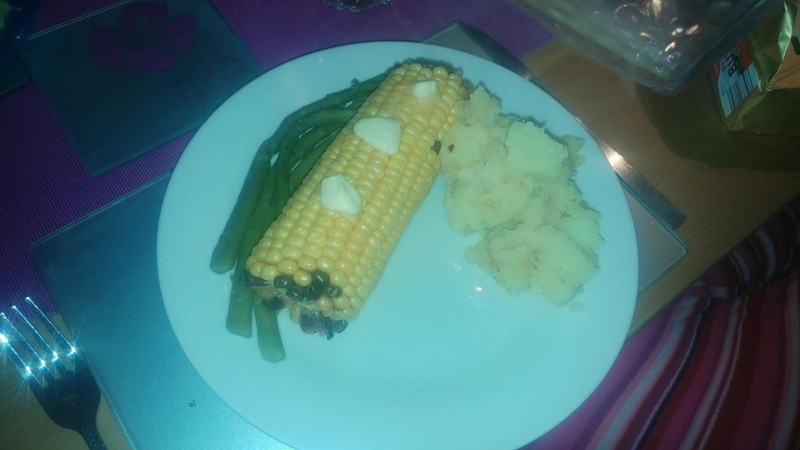 They can be easily distinguished from the deadly nightshade, which also has a black berry, as black nightshade berries grow in small clusters rather than a single berry like the deadly nightshade.